THE LOWEST LATENCY KVM. FULLY UNCOMPRESSED. Creative professionals working in video-intensive post-production applications such as editing, color grading, digital intermediate and visual special effects can easily become fatigued and unproductive when working long hours on systems with the less-than-optimal image resolution quality and unreliable computer peripheral performance that comes from compressed or IP-based KVM signal management systems. Thinklogical eliminates these issues by providing a 100 percent uncompressed signal path on either CATx or fiber cabling with the lowest signal latency in the industry (microseconds, vs. milliseconds for typical compressed solutions), offering precise pixel-for-pixel transmission of 4K DCI/UHD resolution video (up to 4096 x 2160 resolution, 60Hz frame rate, 4:4:4 color depth, 30-bits-per-pixel) with no visual artifacts, jitter or lost frames, and instantaneous computer peripheral responsiveness. This increases user creativity, efficiency and productivity without compromising quality, reliability or performance. With a protocol-agnostic architecture, virtually any signal — regardless of type or standard — can be switched through a Thinklogical matrix switch and any port on the matrix can be quickly configured to accommodate any signal format or direction, in or out. It is easy to change any port on the switch to be video or audio or machine-or-tablet control — whatever configuration is required to accomplish a task — in just minutes. With this true “any-to-any” switching capability, a flexible and efficient “virtual-suite” design concept is made possible, where operators in all of the rooms in a post-production facility —including edit suites, VFX, digital intermediate and color grading, theaters, and viewing rooms—can instantly switch in and out of whatever computer they are controlling with a simple keyboard command. Having one routing system with the flexibility to change the purpose of a suite or workstation with the push of a button, without having to physically re-wire or move servers and displays dramatically improves efficiency and productivity. Thinklogical is the first to offer the media and entertainment industry a secure, uncompressed, high performance private cloud option supporting full-resolution 4K and HDR video editing and image sequence workflows with pixel-for-pixel accuracy and no added latency. Thinklogical’s new 100-percent uncompressed, non-IP private cloud solution provides smooth, low-latency video, KVM and UI control, and supports 4K DCI 4:4:4 video sequences, at up to 60 frames-per-second. Thinklogical’s patented transmission technology can transport ten of these uncompressed 4K signals – with zero-latency UI and I/O – over a single fiber. This performance is available at distance of up to 50 miles over fiber-optic cabling. 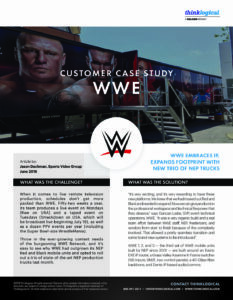 A VFX or post facility in London, New York or Los Angeles, for example, can achieve on-premise quality system performance from any data center in their metro region. 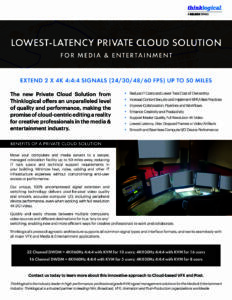 An uncompressed, full-resolution, 4K-capable private cloud is now a viable choice for creative professionals. 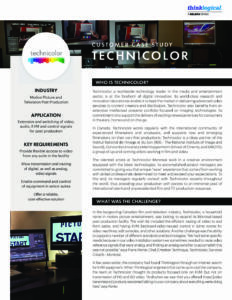 Technicolor, a worldwide technology leader in the media and entertainment sector, is at the forefront of digital innovation. 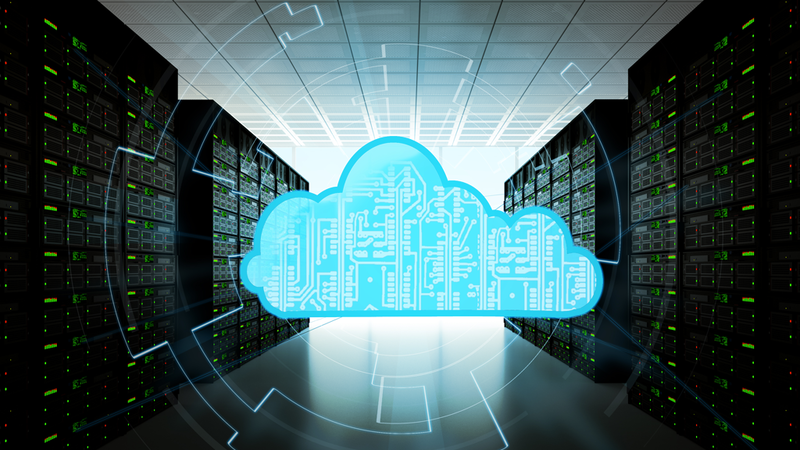 The new Private Cloud Solution from Thinklogical offers an unparalleled level of quality and performance, making the promise of cloud-centric editing a reality for creative professionals in the media &amp; entertainment industry. Broadcasters face a dynamic business and technology environment, with constant change in both the methods of creating, managing and distributing content, and the myriad ways consumers now access this content. Thinklogical recognizes this challenge, and offers a wide range of high-performance, professional-grade signal management solutions for broadcasters that improve productivity, promote collaboration, and reduce cost and risk. 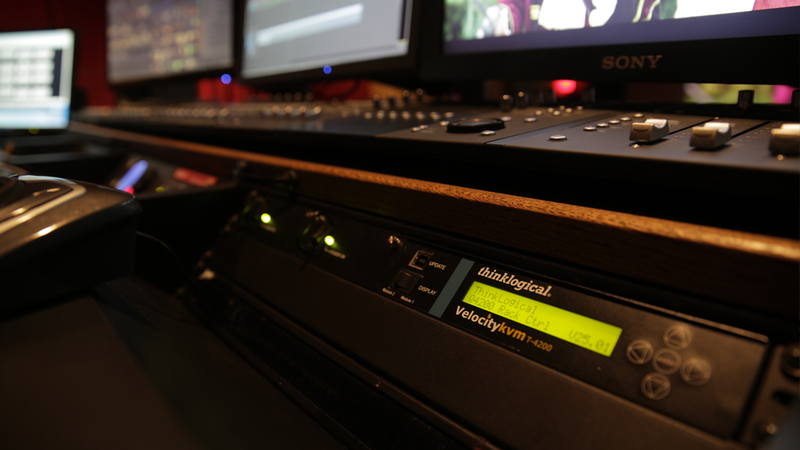 Thinklogical’s 100-percent uncompressed KVM system architecture preserves every pixel of the video image with no added latency, artifacts or lost frames, and delivers smooth and accurate keyboard and mouse control surface performance. Our patented signal extension and switching technology allows for critical computing resources to be back racked, centralized and allocated as needed, reducing studio and workstation heat, noise, and technology clutter. Thinklogical enables users to easily access and switch among video sources, graphics generators, replay systems and other applications located securely away from the broadcast studio, simplifying studio re-configurations and easing the burden on engineering resources for improved efficiency and lower total cost of ownership. 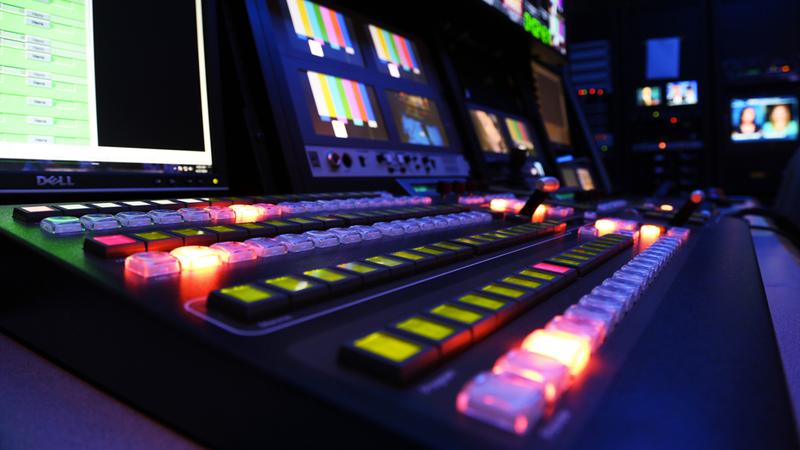 Control rooms are the hub of today’s multi-platform broadcasting landscape, and the ability to quickly access and assign applications, systems and content to meet ever-changing programming requirements is critical to a successful production. Thinklogical understands this, and offers high-performance, professional grade control room KVM signal management solutions that improve productivity, promote collaboration, and reduce cost and risk. Thinklogical’s high-performance signal management infrastructure includes state-of-the-art KVM systems with uncompressed signal extension and switching which supports up-to-the-minute execution and decision making for control room operators. 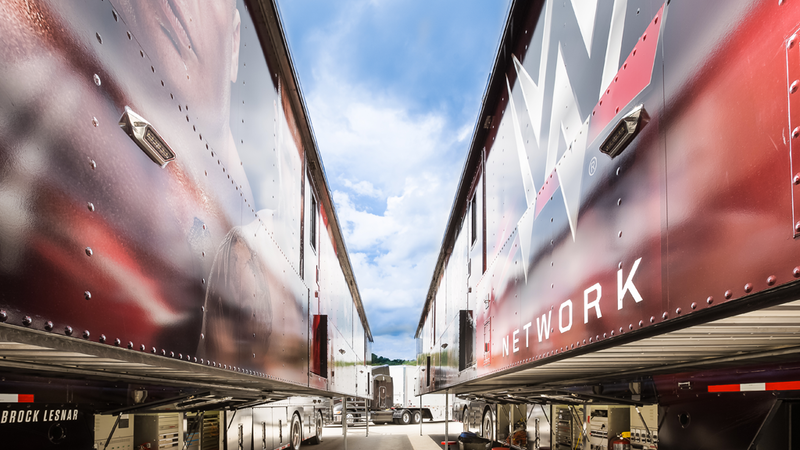 Thinklogical solutions provide any-to-any flexibility for creative professionals working in Mobile Production Trucks. The Thinklogical solution offers complete flexibility to reconfigure one workstation within a production truck into another instantly and seamlessly with a single keystroke. Professionals can switch from working on an editing workstation, to replay, to graphics, to audio in seconds. 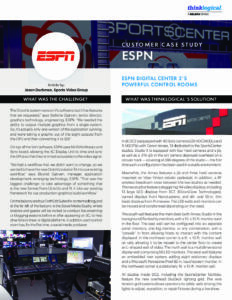 ESPN Digital center 2's powerful control rooms. Thinklogical helps customers capitalize on projects, operate more efficiently and effectively, minimize installation times and maximize their bottom line. Concerts, theatrical productions, sporting events, tradeshows and conferences can inspire, entertain and educate audiences and attendees. Today presentations and performances are becoming increasingly complex and challenging. The secret to their success lies in the systems that deliver the sound, the vision, the audio visual experience. These types of applications can be a massive undertaking to produce and require a substantial amount of audio visual equipment and infrastructure behind the scenes. 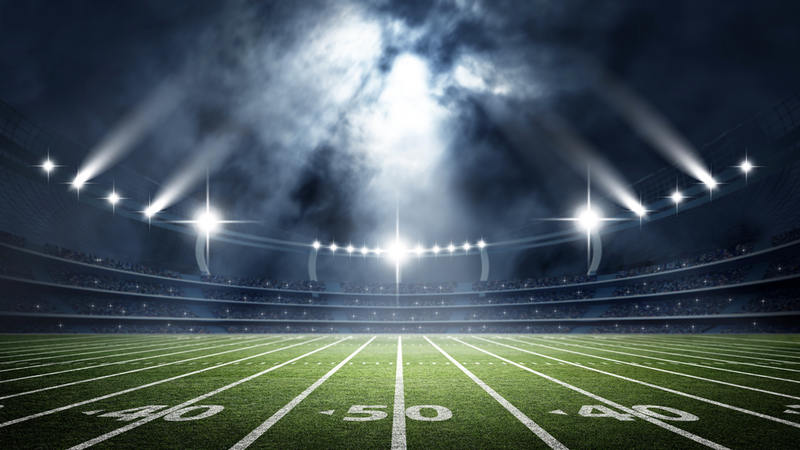 For AV integrators, rental and staging companies tasked with supplying and installing the equipment the stakes are high, as their reputation hinges on nothing short of a flawless AV presentation. The complexities of these events demand that AV solutions not only operate flawlessly, but can be easily deployed, have built-in failover protection and are budget friendly. 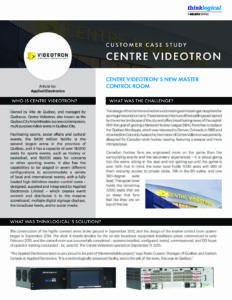 Centre Videotron's new master control room. 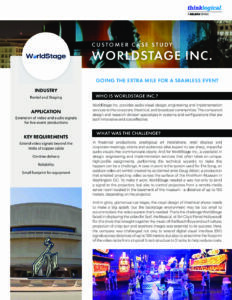 WorldStage Inc. provides audio-visual design, engineering and implementation services to the corporate, theatrical, and broadcast communities.